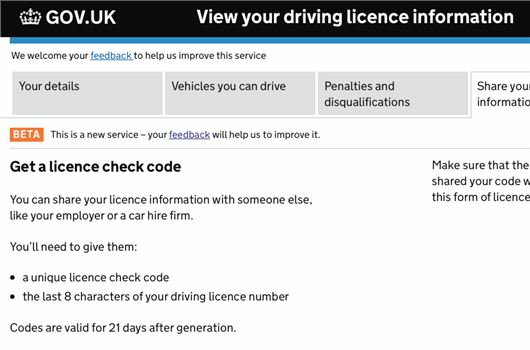 Company car drivers could be asked to provide driving licence details to their employers more often following a plea from a verification service provider. This would include quarterly checks for vocational fleets as a norm and more frequent checks where driver risk profiles warrant it, ensuring employers comply with best practice on risk management. Currently, most organisations, including those with vocational fleets, work on just an annual or bi-annual basis, says ADLV. By establishing industry standards based on driver risk profiles, it believes that fleets will be able to more quickly identify high-risk groups, such as those with mobile phone misuse and other offences. In using the latest commercial licence checking systems, fleet managers can be sure that they have taken the appropriate action, minimised the risks to the public and boosted road safety. Richard Payne-Gill, deputy chairman of ADLV, said a move to more regular checking will support both risk reduction and road safety. "Previously annual or bi-annual checks were deemed to be sufficient," he said. "However, the latest checking systems, available through ADLV members, deliver more regular checks and are already being followed by some major fleets. "In our view, more frequent automated commercial checking varied according to driver risk profile will establish it self as the best-practice for all professional fleet managers."